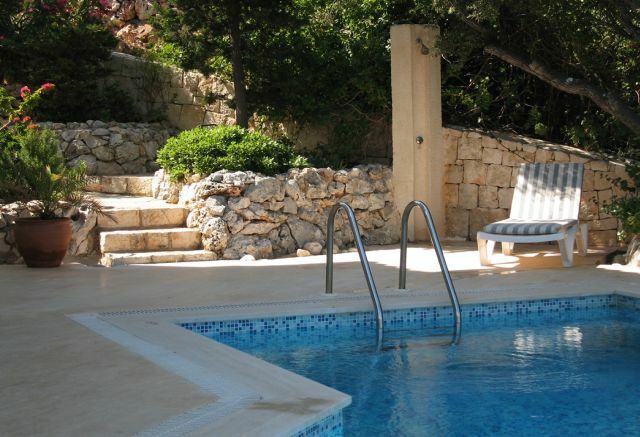 On Selected Villas For June, July, August And September! Book now for early bird discounts and to make sure you secure your two weeks in paradise. By day and night, our villas are the perfect place to spend your holiday. Offering a Large private infinity pool and superb Mediterranean Sea views overlooking the Greek island of Meis is located on the exclusive Kas Peninsula and stylishly furnished to a high standard. 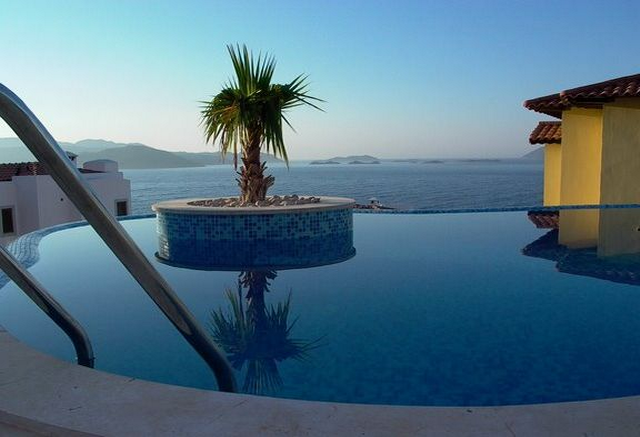 Extremely spacious and stunning villa, the with private infinity pool and superb Mediterranean sea views over looking the Greek island of Meis, located on the exclusive Kas Peninsula. Large beautifully furnished Villa, popular with many customers, offering a infinity pool and dual aspect Mediterranean Sea views over both the Greek island of Meis and the lagoon. 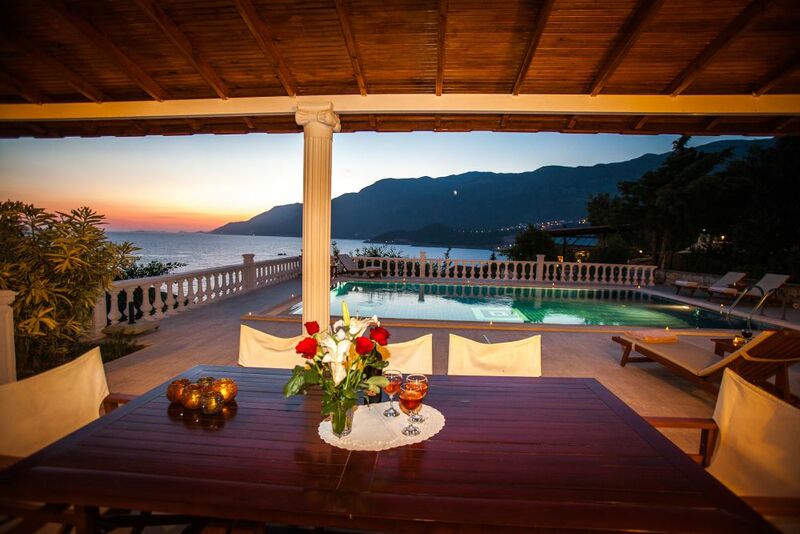 Stunning Mediterranean Sea and mountain views and amazing sunsets, has a private pool and is located in a fragrant tropical garden setting on the lagoon side of the exclusive Kas Peninsula Turkey. 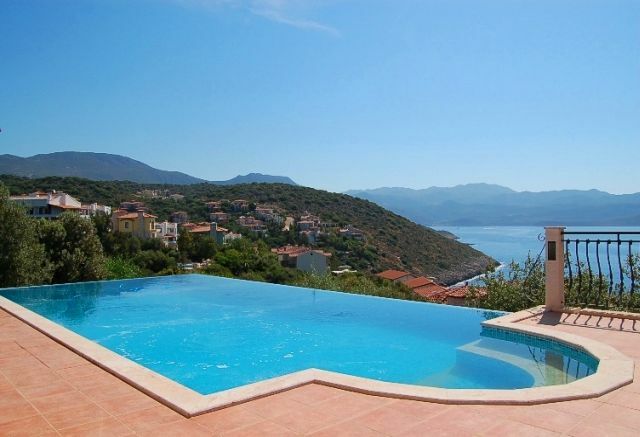 Large detached villa with private pool for rent on the exclusive Kas Peninsula, with close to sea swimming platforms with wonderful unobstructed Mediterranean Sea & mountain views. 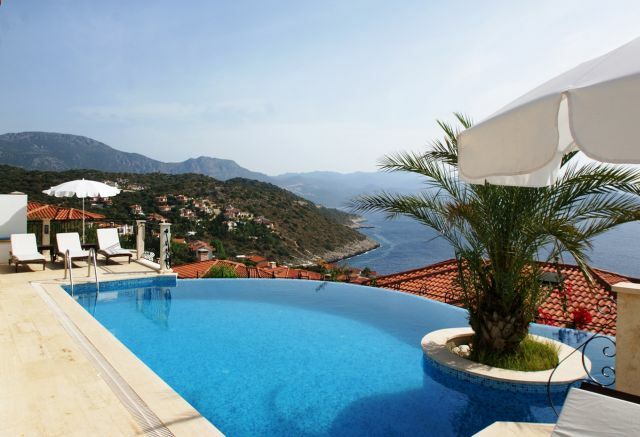 Very popular and stunning villa for rent on the exclusive Kas Peninsula Turkey, with seamless private infinity pool with uninterrupted views of the Mediterranean, a wonderful place to unwind and relax. Furnished and equipped to a high standard in contemporary style, with WIFI, the villa is ideally in area of outstanding natural beauty that is steeped in history, with many ancient historic sites within easy access. Located on the exclusive Kas Peninsula offering superb Mediterranean sea views overlooking the Greek island of Meis, a private infinity pool & spacious well appointed accommodation. 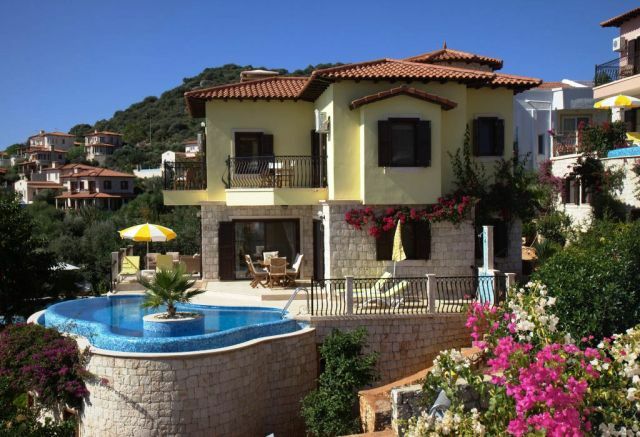 Spacious 4 bedroom villa with private pool and wonderful Mediterranean Sea and mountains views, stunning sunsets, located in an elevated location on the lagoon side of the exclusive Kas Peninsula. 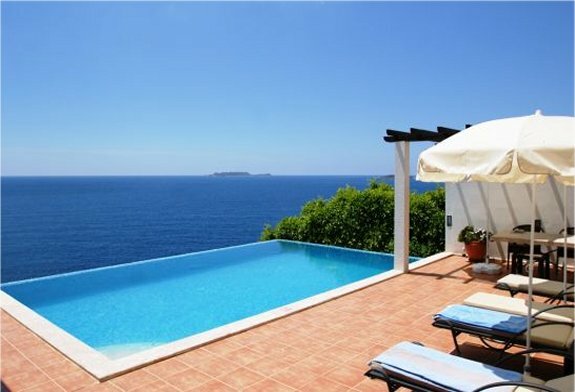 Popular and stunning villa with its own private pool, wireless internet connection and Mediterranean sea views over to the Greek island of Meis , located on the exclusive Kas Peninsula. A wonderful villa with its own private pool, wireless internet connection and Mediterranean sea views over to the GreekIsland of Meis, located on the exclusive KasPeninsula.